Q: When is gaming not quite gaming but at the time actually gaming? A: When you’re doing it with a board, or some cards. While we’re sat before our monitors and TV screens, mashing keypads and strafing, while swapping insults with our online opponent/colleagues, it’s easy to forget that there is a whole lot more to gaming. From Monopoly to the original version of Civilization, board games have been with us for many years; Chess is a good example of this, and that game itself is a variant on other games that came before it. Online, you’ll find some great stores for buying board games of all kinds, so if you’re looking to break away from the console or PC, or even the handheld or mobile, this is the place to start. It’s certainly worth prefacing what follows with a disclaimer. Not all board games are created equal. Indeed, many of what you might think are board games are not, and some of those that you think are table top might actually be board games. The websites and services that we feature here may or may not also sell table top games, cards, figurines and scenario hardware. If that’s what you’re into, then that’s your call and you’re welcome to use those sites to find what you’re looking for. What we’re looking for, however, are games that require you to formulate a strategy to win, ones that are based on a board playing area and don’t rely on armies of figures to win. They should also require no weighty manuals wielded by gamemasters. 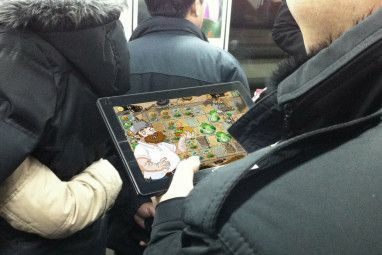 Although iPad-based board games are fun 5 iPad Family Board Games for Christmas Afternoon 5 iPad Family Board Games for Christmas Afternoon Move over TV - board games are starting to see a great revival as a family pastime, and they're perfect for Christmas. Read More , we’re also staying clear of those. Below you’ll find five great online stores that cater to lovers of board games, from Cluedo, Scrabble and Chess to games based on The Hobbit, adventures into space and even iPad-connected versions of Monopoly, which is always better when played with people in the same room, rather than online Play Monopoly Online with Other People using World Streets Play Monopoly Online with Other People using World Streets Read More . We’ve taken the time to check feedback on these sites, which all appear to have overall strong reputations. 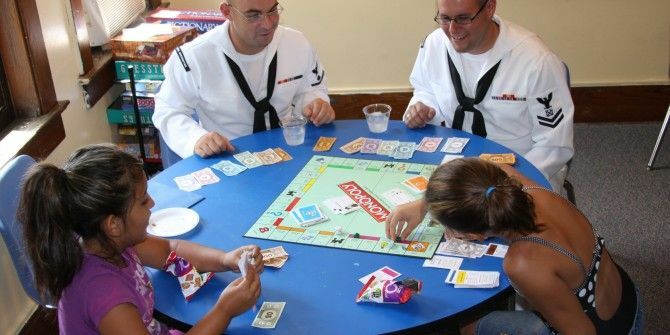 Unlike the other stores listed here, The Captain Board Games focuses on, well, board games. 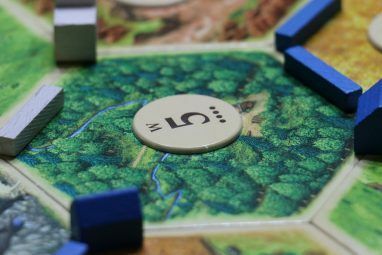 Games range from the basic, everyday family board games to those that are more advanced, with titles such as The Adventurers: The Pyramid of Horus, Settlers of Catan, and Ticket to Ride on offer. By focussing on pure board games, this site really highlights just what is available in this type of game, and there really is a lot to see! A beautifully laid-out site, the selection of board games covers a range of genres and features titles that you might not see in the other sites listed here. With board games in stock alongside the usual card, RPG and table-top games, Miniature Market can offer low prices on premium titles, and has a rather large stock of clearance items. They also buy back your old game gear for in-store credit. Miniature Market also has a bricks and mortar store in Missouri, where in-store events take place. You can keep up to date with these by subscribing to the Miniature Market newsletter. Combining the colours green and black, if the title of this online store doesn’t give you a clue as to its focus, the colour scheme, logo and layout will. 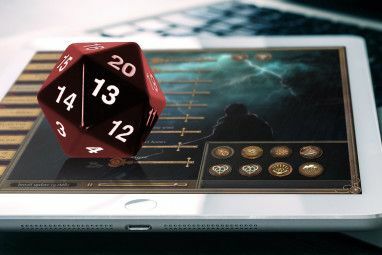 The majority of games on the homepage are sci-fi/fantasy based, and while this is obviously a core aspect of board, table-top and RPG gaming, the focus leaves you in no doubt as to the type of games you can expect to find here. A vast catalogue of games is on offer, along with card and dice-based games. Visually the most complete site in this list, Cool Stuff Inc – known as CSI – has a good library of title and runs its own shows, events and podcast. CSI also offers customers the ability to send gift certificates and offers free shipping on purchases totalling $100 or more! Although other game types are stocked, CSI offers regular sales and also accepts trade-ins. With a vast collection of games across a range of genres, Board Game Bliss keeps its library up-to-date and even has a dedicated page for new gamers. Board Game Bliss has a “Daily Deal” feature in which a single game is discounted, a great way to dip your water into gaming without paying too much or grabbing that title you’ve been looking forward to buying. Based in Canada, this site also ships to the US but for those of you not in North America you’ll need to contact them for international shipping prices. Not all board game stores are created equal. Some don’t have their own websites, and instead rely on the web’s two huge marketplaces, Amazon and eBay. If you’re planning to buy games from these places, you’ll find several advantages. For instance, if you have an Amazon Prime subscription Is Amazon Prime A Good Deal? Is Amazon Prime A Good Deal? Amazon Prime seems like a great deal, but is it? We dig into the benefits to figure out if they're worth the $99 per year. Read More , you’ll be able to get free, fast delivery on suitably-labelled products. You’ll also have the benefit of a respected feedback and review system, as well as the possibility of purchasing older versions of some games (updates can often frustrate gamers, after all). With eBay, meanwhile, the protection of PayPal and the likelihood of you being able to purchase old games and components is strong. Although you may pay over the odds for some specialised pieces (we’re talking anything from Monopoly hotels to Hobbit counters, dice, even the boards themselves) there’s a strong possibility that you’ll find what you’re looking for on eBay. Mind you, if you’re looking for real bargains, it might be an idea to download some free, printable games 5 Awesome Free Printable Board Games 5 Awesome Free Printable Board Games If you're on the lookout for a new geeky craft for yourself or the kids you've probably considered making your own board games as an idea. But you probably didn't realise that you can do... Read More . What’s Your Favourite Game Store? You’ve got six choices there for grabbing some great board games, all of which are generally considered reliable. After all, we would hate to recommend something that didn’t work out for you. However, as with any online purchase, we recommend that you spend time researching the product and the business before proceeding. Of course, you may be reading all of this with your head quiet shaking. Perhaps you’ve beaten us to it, and found your own great online store for board games. BoardGamePrices.com offers price comparison for board games. They list game prices for the stores you mentioned, plus many more US and Canadian game stores. Don's Game Closet is where I get my vintage board games. I always check there first, before going anywhere else, because I never have to worry about game condition or anything else. They have same day shipping and their customer service is totally awesome. They have a money back guarantee, free score sheets, a huge inventory of game rules and even list the contents for every game they have on their website. Go Don's Game Closet!!!! I'd toss in our site for consideration too - Starlit Citadel. We've got a wide range of board games and other tabletop games as well as useful tools like the GameFinder Application and a giant game flowchart. Thanks Tao, what's the full URL? I use Cardhaus.com they have always had great prices and a great selection. Don't forget your Friendly Local Game Store (FLGS). While you can usually get games cheaper from an internet store, they don't have a place you can meet up with others to play, and the FLGS supports the local economy. Admirable advice, Brent. The same can be said of all privately run stores and small chains, let's hear it for the independents! TimeWellSpent pulls in quite a few games that are only normally found in Germany. This can be good for some games that just don't make the US otherwise. CSI and Miniature Market generally get good reviews. Sometimes GameHaus can run a good deal as well. I agree w/ the thrift store comment, though our area tends not to have much unless you want to just use them for components. :( Some people have found some really, really great games for a couple of dollars - sometimes even brand new. Of course, you have to wade through tons of copies of checkers, Trump, and Trivial Pursuit to find them, but it can be worth it if you find that gem. Every now and then Barnes and Noble does a sale where some decent games go into clearance as well as a bunch of other things. It can be worth looking at them during those times as the prices come closer to that of the stores mentioned above. Goodwill! Thrift stores are great places to find used games for (almost) pennies. You can find some pretty weird game there, too. Just be sure to check the contents first. Most games list the counts of pieces/cards/etc. on the side of the box. There is a discount book/art supplies chain in the UK called The Works, which is great for picking up board games at very low prices.